Last weekend was rather special. Simon's "Best Woman", Jo (our wedding packs a serious amount of Girl Power!) came over from Manchester for a visit with her daughter Faith. Since moving to Newcastle Simon's barely got to spend any time with his friends and each time we head back to the North West the weekend passes in a blur without us being able to spend any proper time with anyone. So to have Jo and Faith stay with us pre wedding was very exciting. Unfortunately Simon and I are a little out of touch with how to entertain children and we did worry a little about keeping 10 year old Faith entertained. 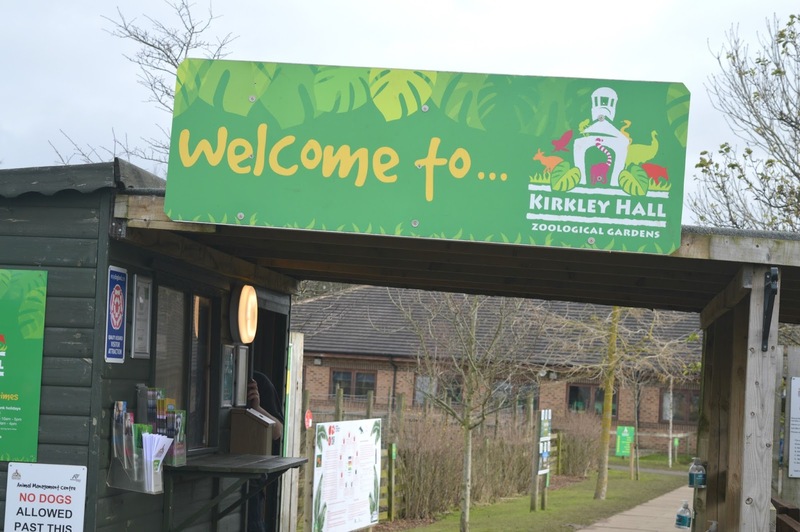 We spent a good while thinking about what we could do and then I remembered I'd been wanting to visit Kirkley Hall Zoo for a long time. Taking advantage of our weekend car hire we decided it was the perfect plan. 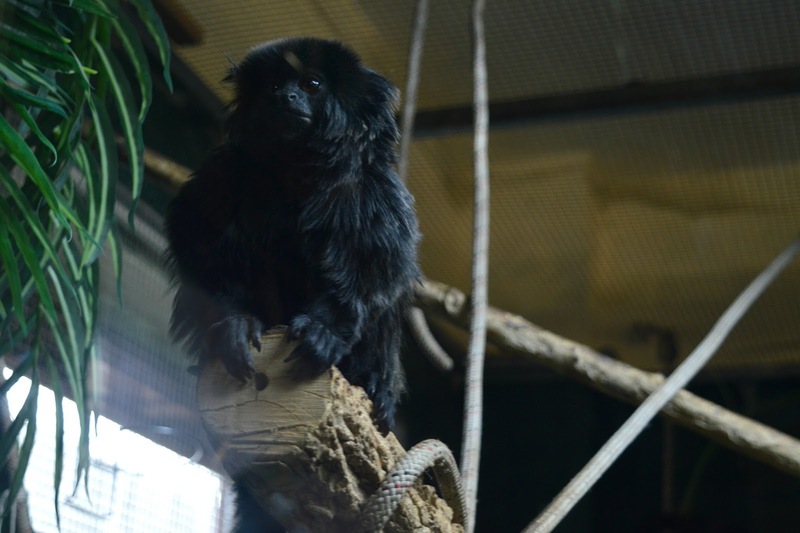 Kirkley Hall Zoological Gardens is just 8 miles north of Newcastle yet has all the tranquility of the Northumberland countryside. Sitting on the bank of the River Blyth and a stones throw away from the gorgeous Grade II listed Kirkley Hall it's a beautiful place for a family outing. It was a particularly cold day with a pretty biting wind so we were glad we'd bundled up in our warmest Winter coats. We were handed a map with our entrance tickets which I immediately handed to Simon, I am useless at map reading and have been known to get us lost on more than one occasion. Unfortunately maps and gusts of wind don't really work well together so it wasn't long before we decided to forget the map and just find our own way round. 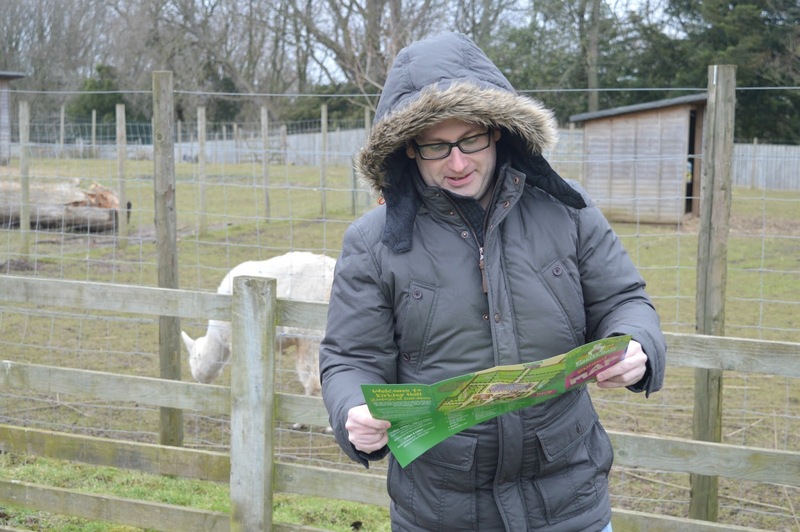 Kirkley Hall Zoo is small enough to make it easy to manage with or without a map. There were plenty of signs everywhere letting us know which direction to adventure in as well as plenty of information boards introducing us to the animals. Our first stop was to say hello to the Bush Dogs. Originating from South America we were all completely smitten with the cute furries who looked a bit like tiny bears crossed with otters. We spent ages watching them and were enjoying ourselves so much we almost forgot the cold, until I was suddenly aware that my feet were beginning to go a little numb. Luckily there were quite a few indoor enclosures at the zoo, perfect for hiding away from the British weather. We took shelter in the Walk of Life, a fantastic collection of snakes, spiders, lizards and miniature monkeys. Faith was completely taken with the ghekko and spent a good long while sitting on the floor with her eyes fixed on the glass. Simon and I were thrilled to see her looking so happy and enjoying herself. My favourites were the monkeys who were having a great time swinging about in their enclosures. I could have watched them for hours, they're such little characters. Once we'd warmed up we headed back outside to enjoy the Emus, Pygmy Goats and Reindeer before stumbling across the picnic area that had a rather fine collection of peacocks. I love peacocks although am a little wary of them after I got chased by one as a child (something my family still like to laugh about all these years later!) 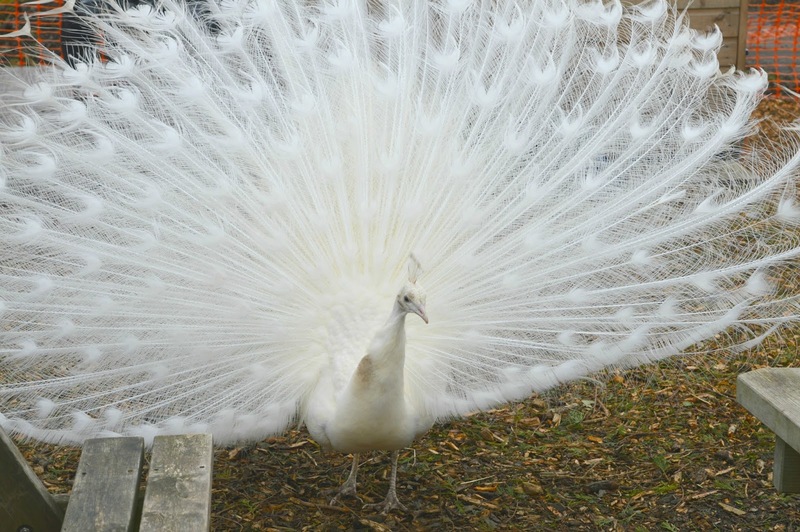 We were very lucky and a beautiful white peacock showed us its tail feathers which made my day. My favourite part of a zoo when I was younger was always the petting barn, getting to play with animals that I wasn't allowed to have at home was always such a treat. 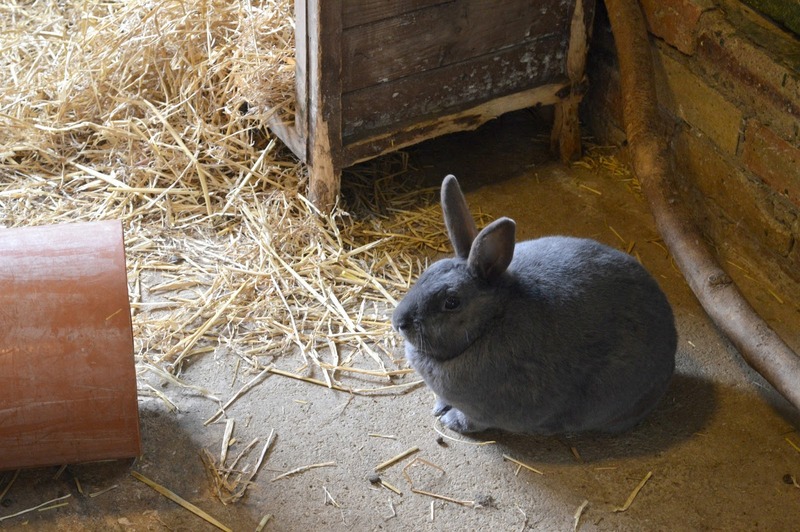 Kirkley Hall has the PETALZ petting barn with guinea pigs, rabbits and donkeys. We visited during an "Animal Encounter" so there was a keeper in the Barn with a guinea pig for the kids to stroke. Luckily for me I managed to get a cheeky little stroke myself when there were no kids waiting. The keeper was happy to chat to us about the animals in the barn, although I'm not sure I'll be taking his advice of getting myself a pet rat! There were plenty of Animal Encounters throughout the day including Ring Tailed Lemur Feeding and Meet the Meerkats. Simon and I are keen fish watchers (is that a thing?) we just find them so relaxing. 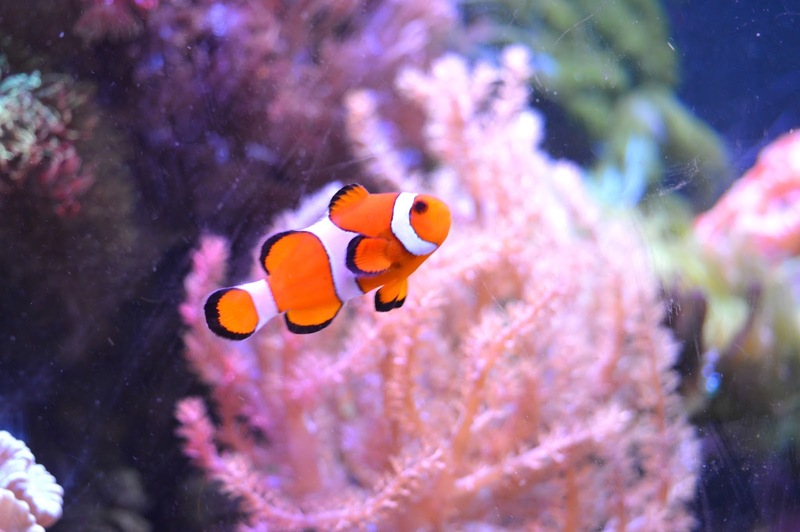 Kirkley Hall Zoo has an Aquatic centre full of colourful fish. I was straight over to the Clown Fish. Nemo! Is it just me who feels a bit starstruck every time I see one? I'm sure it's the closest I'll ever get to seeing a movie star. There are a few bits of the zoo that are currently undergoing construction including the Outback experience, which allows you to walk amongst the wallabies and kookaburra. Unfortunately it was shut when we were there but it looks brilliant so a definite incentive to return. 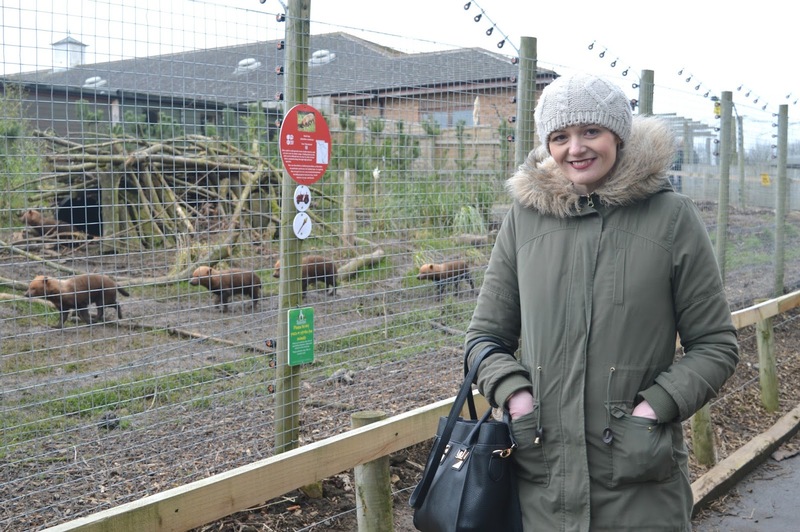 One of the things we really loved about Kirkley Zoo was that it was small enough to easily explore without getting tired legs. Perfect for younger kids! There was also plenty of open space which Faith particularly loved as it gave her extra room to swing poor Uncle Simon around. After an enjoyable few hours walking round the Zoo the cold was beginning to get a little much for us so we decided to head to the Orangery tea room for a much needed sit down. 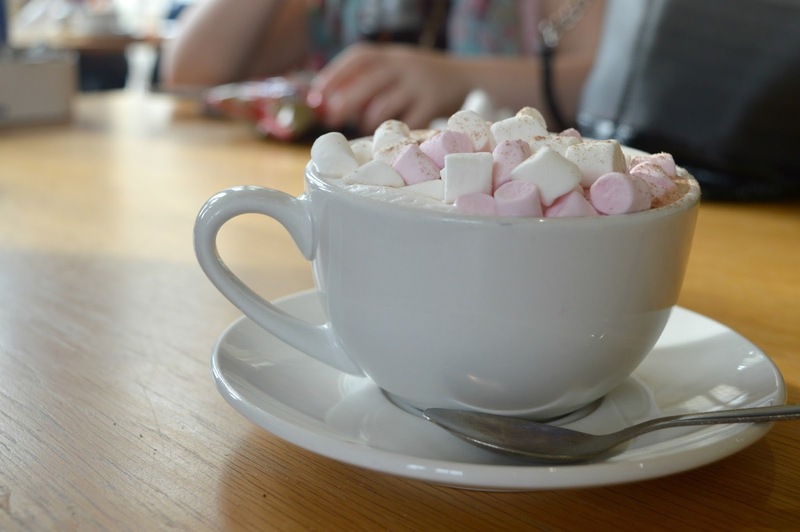 It was a little busy with loads of families sheltering from the Winter wind but we were lucky to nab the last table and it was hot chocolates all round to warm up. 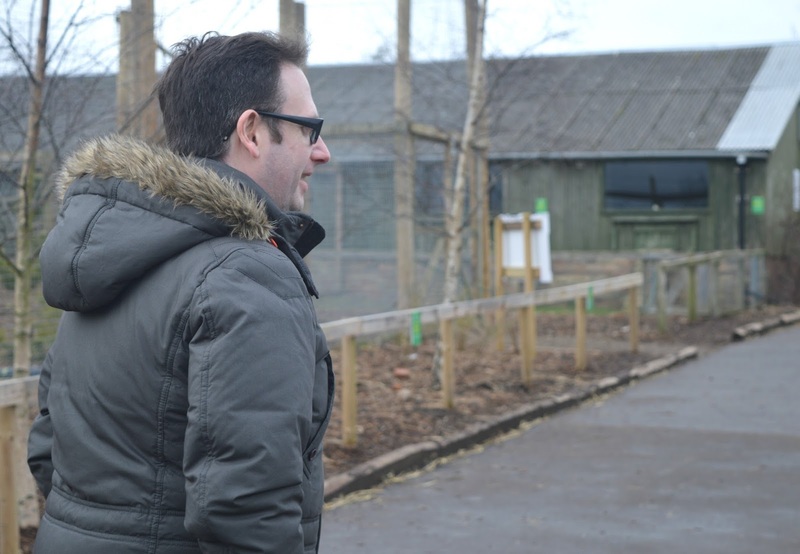 With the feeling returning to our hands and feet it was time to leave Kirkley Hall Zoo so we bundled back into the car and spent our entire journey home discussing our favourite parts and animals. It seems the zoo was a great success and Faith had had a great time. It wasn't till I was reading through the map that evening that I realised we'd actually missed out on exploring more of the grounds at Kirkely Hall. There's a walled garden and a river and forest trail to enjoy. A great reason to return and a lesson on why we should study the map before leaving somewhere!